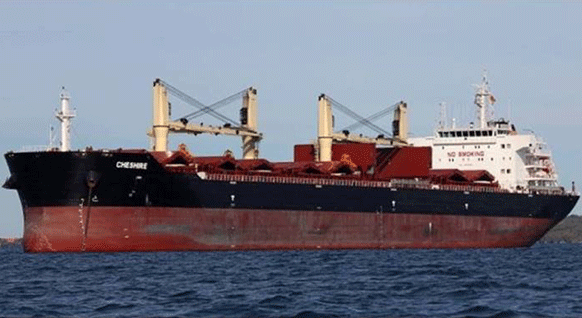 Following the investigation report of the 2012 built supramax bulk carrier M/V CHESHIRE which was issued by the Isle of Man Ship Registry, INTERCARGO urges IMO to reconsider how Ammonium Nitrate Based Fertilizer should be designated in the IMSBC Code. 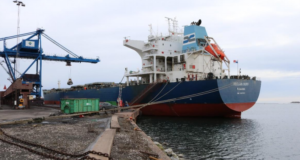 Currently, the Ammonium Nitrate Based Fertilizer is listed as a group C cargo, however, the accident showed that this cargo, or at least some of the ammonium nitrate based fertilizers shipped as this cargo, should treated differently under the IMSBC Code. In August 2017, the 2012 built supramax bulk carrier M/V CHESHIRE, en route from Norway to Thailand, fully loaded with cargo declared by the shipper as being “Ammonium Nitrate Based Fertilizer (Non-hazardous)” and not liable to self-sustaining decomposition, suffered cargo decomposition that led to rising temperatures in the cargo holds and the generation of toxic gases. 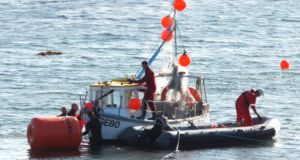 The decomposition progressed throughout the length of the vessel to such an extent that, after several days, the vessel’s Master took the decision to evacuate the crew. 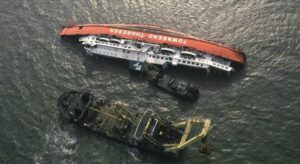 The vessel was then left to drift under the supervision of the Spanish Authorities until being salvaged, but in the end, due to extensive damage, the vessel was declared a constructive total loss. and consideration of whether the current IMO-stipulated test for assessment of self-sustaining decomposition properties of an ammonium nitrate based fertilizer is adequate. the provision of specialist equipment onboard the vessel, monitoring of the cargo atmosphere by the crew, and the development of cargo and ship specific procedures related to the carriage of this cargo. Ammonium Nitrate Based Fertilizer (non-hazardous) is currently designated in the IMSBC Code as a group C cargo. 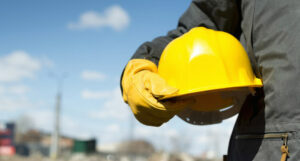 These are cargoes that that do not liquefy (group A) nor possess chemical hazards (group B). It is clear from this incident that this cargo, or at least some of the ammonium nitrate based fertilizers shipped as this cargo, should not be treated as group C.
The IMSBC Code, which is mandatory under SOLAS, stipulates that the Shipper should provide the vessel with all the appropriate information that enables a cargo to be carried safely. It is INTERCARGO’s belief that accurate cargo information, provided by the shipper, is the cornerstone for the safe carriage of bulk cargoes.